It is a tough situation to go through a divorce. Feelings are on the line, children are on the line. And assets are on the line. The goal of a divorce is to divide everything in a fair if not equitable way, including children. There are some divorces that involve a lot of assets. And it is possible that some people will fight for their assets as much as they can to try to keep from giving away “too much” stuff in a divorce settlement. A divorce depends and relies on transparency and honesty between the parties. Hiding assets is not appropriate, and can cost you more in the long run than hiding the assets itself. 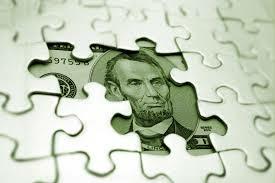 There are ways for assets to be hidden, but for the sake of transparency, there are ways to find those hidden assets. Here are four ways to discover assets are being hidden. An early sign that assets are being hidden could be when bank account statements that usually show up in the mail no longer show up. In most homes, one spouse controls the finances, so if the statements stop appearing, that could be a sign that one spouse is looking to keep the other spouse in the dark about the accounts. On the other side of the ledger, some statements from accounts which were not familiar start showing up in the mail. If a spouse has opened new bank or credit card accounts or new investment accounts without your prior knowledge, that could be a flag that the spouse is hiding some money somewhere. Consider perhaps noticing if a custodial account has recently been opened for your child – an account that you had not discussed before, as an example. Working hard, but getting less? Business with a “clientless” boom. Maybe the spouse is running his or her own business in your guest room or the garage. You know he or she has not been growing very much lately, but you notice that he or she has actually hired people to do some work for the business. Paying out payroll lowers the overall value of the business. These “people” are not actual employees, but they could be friends or family who get “paychecks” and promise to hang on to the checks until the divorce is final, when they will be returned. One of the top signs of financial infidelity comes in the form of a spouse just simply acting defensive whenever finances are discussed. If a spouse is restricting access to accounts by the other spouse and acts defensive if and when a spouse has a question about a transaction, that may be a sign of deceit. Sometimes we can’t always tell that assets are being hidden prior to a divorce, and we might be helped by consulting an attorney who can use the services of a forensic accountant to find answers and confirm whether there are assets being hidden. All the assets need to come out into the light.